Cebu to Tubigon then from Tubigon to Inabanga. 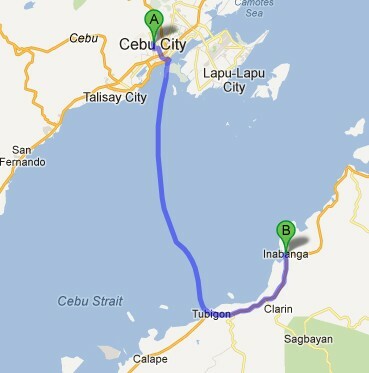 As of now, there is no way to get directly to Inabanga Bohol from Cebu. V-hire - this will take 30 mins. PUJ/ Jeepney - this will take 45 - 60 mins. BUS - this will take 45 - 60 mins.